BL Painting & Decorating Ltd - Painter/Decorator, Tiler - Tiling based in London, Greater London. 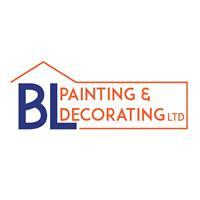 Thank you for clicking on BL Painting & Decorating LTD on the checktrade page. Our goal, at BL Painting & Decorating LTD, is to satisfy all our clients needs to the highest standard at competitive prices. With over 10 years experience, Alex, the founder, understands that every site is unique and needs attention and care in every detail. We are experts in all residential and commercial painting and decorating. We are also specialised in wallpaper, tiling, flooring, drywall and plastering, including soundproofing and all general carpentry. What differentiates us from other companies is that, as well as being professional on small jobs, we are ready to create astonishing special effects with unique paint, evoking the beauty and charm of classic Italian stucco which gives a rich and elegant feel in any interior setting. We also supply designer wallpapers from famous Italian designers. For more information, please visit our website www.blpaintingdecorating.co.uk Or contact us by Email [email protected] or directly by phone 07707004018.